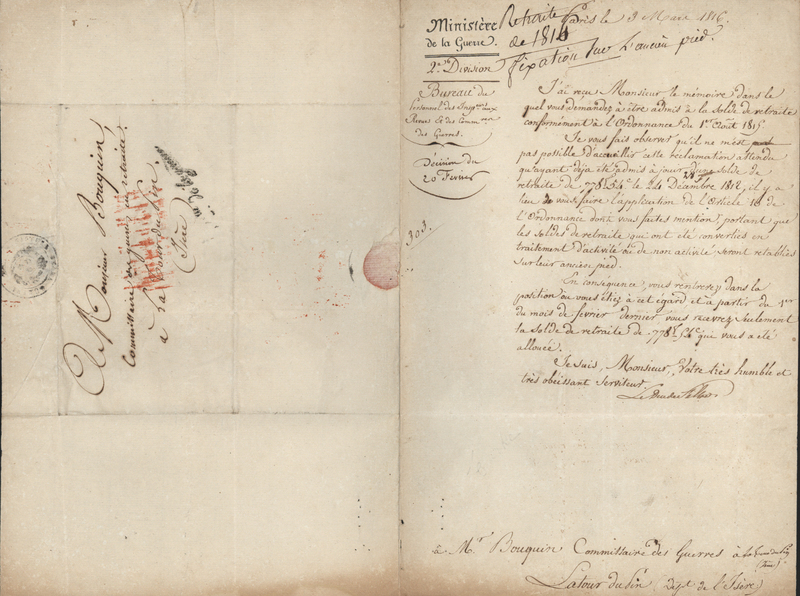 Letter Signed ‘Le Duc de Feltre’, to Monsieur Bouquin, a commissary of pensions at La Tour du Pin, giving instructions on pension matters. 1 page 12 x 8 inches, toned at lower margin, generally in good clean condition, with the integral address leaf. 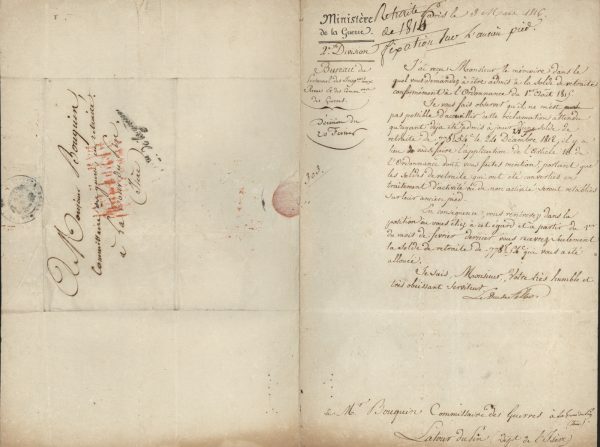 Ministry of War, Paris, 3 March 1816. Henri-Jacques-Guillaume Clarke, duc de Feltre (1765-1818), Marshal of France, succeeded Berthier as Minister of War in 1807. He joined the Bourbons in 1814 and was appointed their Minister of War in 1815, accompanying Louis XVIII to Ghent. He retained the post until 1817.